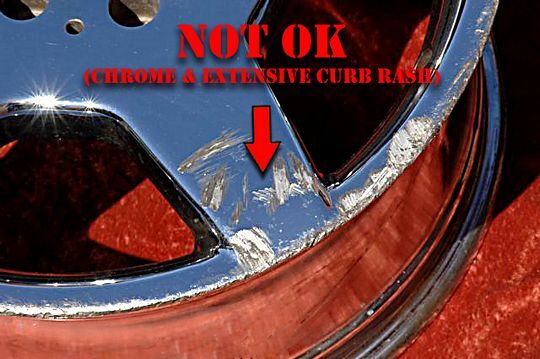 You have to have the EXACT same wheels on your car, only in the factory (non-chrome) finish -- your wheels cannot be previously repaired, reconditioned, machined, refinished, welded, plated, chromed or powder coated, corroded, have any major curb damage, or be out of round; we may accept minor curb rash, but you must contact us in advance. You pay the price of the custom finish plus a REFUNDABLE security deposit; one-way shipping's included for the contiguous U.S.! We send you our wheels with our sweet custom finish, and you put 'em on your car. 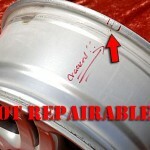 You send us your wheels (add the cheap Return Shipping Labels to save!). You have 14 days from the day you RECEIVE our wheels for us to RECEIVE your wheels. We refund your security deposit in full if your wheels meet our criteria (see below for more information on our criteria). Our Wheel Exchange Program allows you to exchange your factory OEM wheels (not previously chromed or with any non-factory finish) for an identical set in our Chrome, Powder Coated, or WinterChrome™ finishes. Shop for Wheel Exchange sets in the new L.A. Wheel Store! By exchanging your wheels, you save most of the cost of buying a new set of wheels with a special finish, since you are essentially only paying us the cost of chroming, powder coating, or WinterChrome™ the wheels (thus the great price!). You DON'T have to take your wheels off, put your car up on blocks and send them to us first. 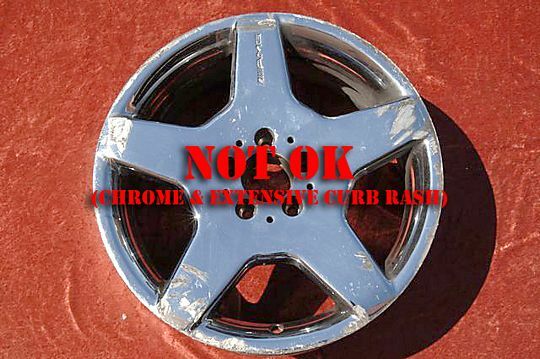 Instead, we send you beautiful chrome, powder coated, or WinterChrome™ wheels first, and then you send back your old wheels! 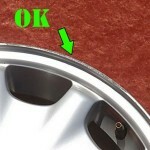 Center caps are dealt with on a per wheel basis, please view our item listing or contact us about your options. Usually, we will supply standard caps with a chrome finish. How long do I have to return my old wheels to you? 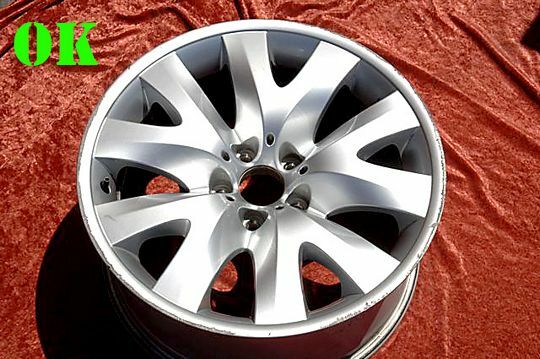 We must RECEIVE your factory wheels 14 days from the day our Chrome/Powder Coated/WinterChrome™ set is RECEIVED by you. Since most wheels take 5-7 days to travel in the USA, this gives you approximately 7 days to have the wheels we sent to you installed. However, if you think you may need to return your wheels late, please contact us first to see if we can extend your return time. 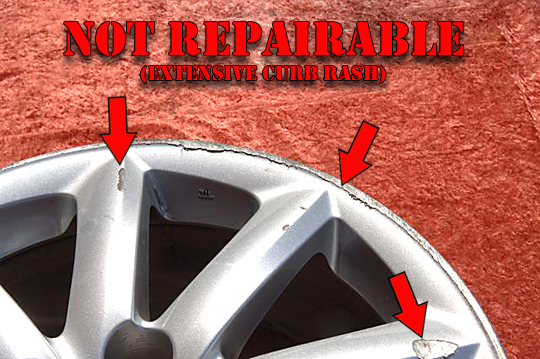 If your wheels are received AFTER 14 days from the day our set is received by you, a late fee (minimum $150) will normally be deducted from your security deposit. A late fee is charged because we have many customers, and a delay in receiving your wheels means a delay for the next customer purchasing the same wheels for their vehicle. 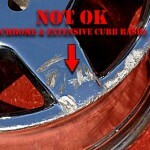 If we do not get your wheels within 4 weeks of delivery to you, we will charge you for 50% of your security deposit. 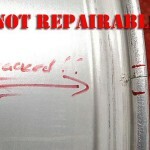 If we do not get them back within 8 weeks of delivery to you, we will charge you for 100% of your security deposit. However, if you think you may need to return your wheels late, please contact us first to see if we can extend your return time. 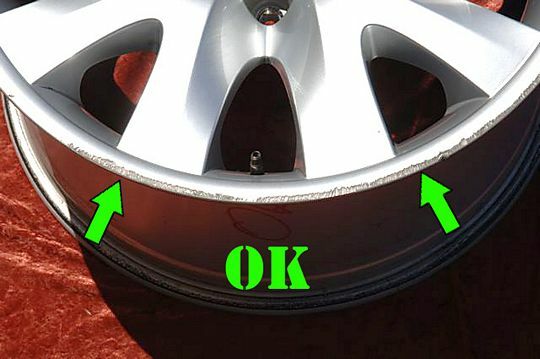 The security deposit is required only if you want us to ship our wheels to you first in order to cover the possibility of your wheels not being sent to us per the terms of the exchange. 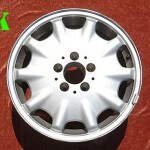 Shipping our wheels to you first allows you to keep driving your vehicle. The security deposit is refunded when we receive your non-chrome factory finish wheels, subject to deductions described below. 1. 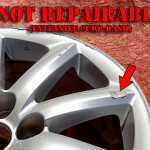 You can avoid the security deposit by shipping us your wheels first. 2. 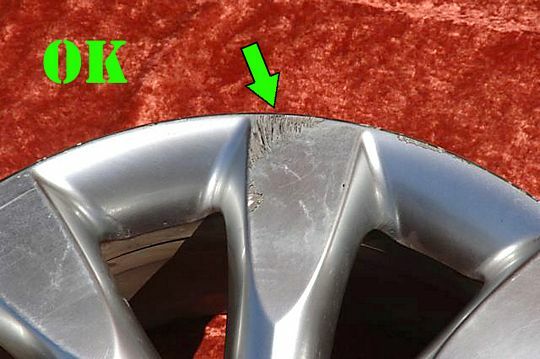 You can also avoid the security deposit by bringing your car to our shop and we will install the custom finished wheels for you on the spot. 3. 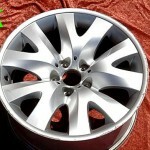 You can avoid the security deposit by buying the custom finished wheels outright (subject to different pricing). Why is the security deposit so much? 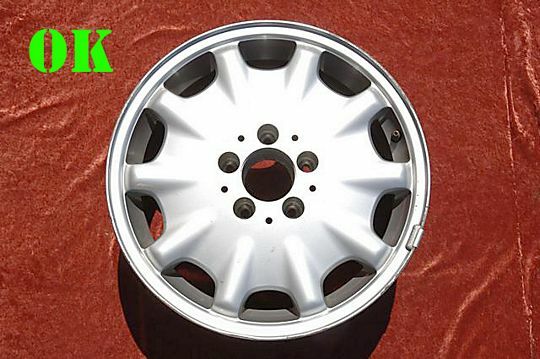 The amount of the deposit varies on the value of the wheels we're shipping out to you (i.e., a wheel that is a larger diameter or relatively rare will typically have a higher deposit amount) and how hard we think it will be to find a replacement. 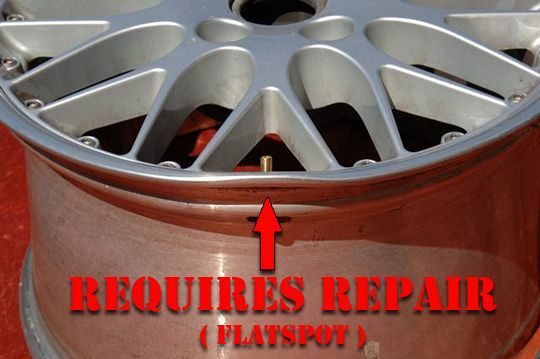 It roughly covers the estimated costs to us of obtaining a replacement set of wheels outright, in case you we do not get your qualifying wheels back, or to compensate for any repairs we may have to do to the set of wheels you send to us (such as if they have curb damage, are out-of-round, etc.). 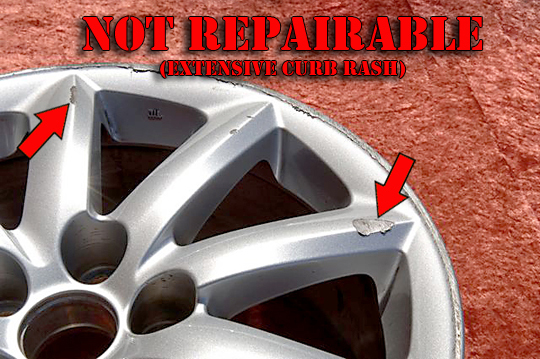 The security deposit will generally be refunded within 5 business days after we receive your wheels if the wheels qualify for exchange and do not have any damage for which we make a deduction. 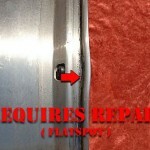 It will generally be refunded the same way that the payment was made. Will I receive my full deposit back? 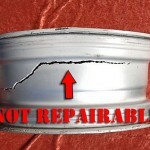 That depends on the condition of the wheels you send us. 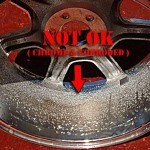 You need to inspect your old wheels (wheels you're returning to us) before you pack them! 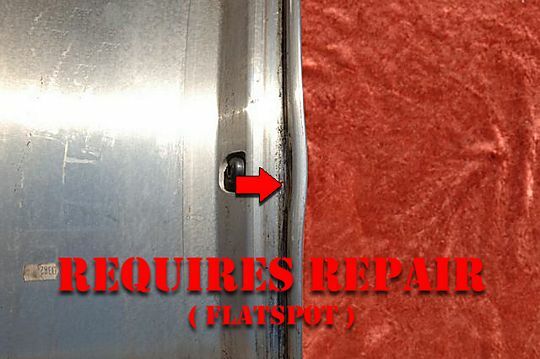 L.A. Wheel and Tire understands that it can be disconcerting to learn that the wheels you returned to us were bent (out of round) or warped, especially if you noticed no problems with the handling of your vehicle. 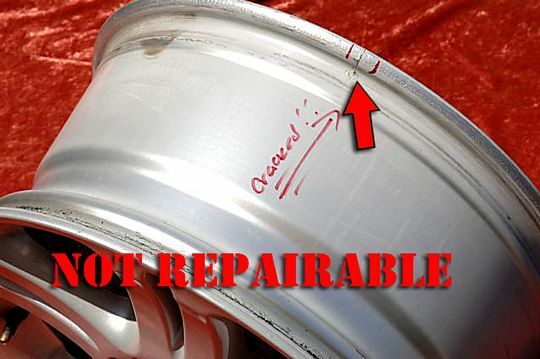 To prevent any surprises, you must have your mounting shop inspect your old wheels by spinning them on a high-speed wheel balancer while you are there in person, so you can see any defects yourself. 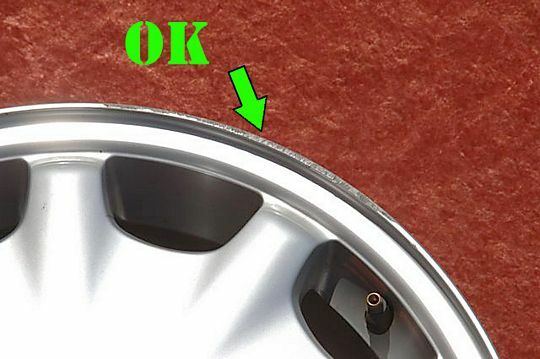 A wheel that is out of round will usually have a visible hop or a flat spot while it's rotating on a balancer (usually on the back of the wheel), even if the hop or flat spot is slight. 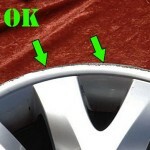 Please pay careful attention to both the front and back of the wheels. 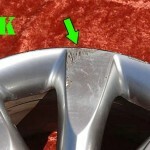 A center-bent wheel will usually have a horizontal wobble. 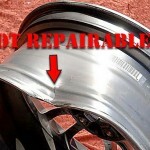 Most wheels returned to us are received in good condition and security deposit is promptly refunded in full. 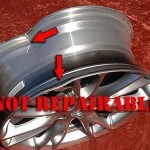 However, when defective wheels are received, a cost to restore the wheel to True will be deducted. L.A. Wheel and Tire will try to notify a client if it was necessary to take a deduction from the security deposit for this purpose. 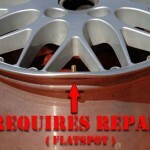 If repairs are required to be performed on repairable wheel(s) being returned as a core to L.A. Wheel, there will be a deduction from your core deposit. 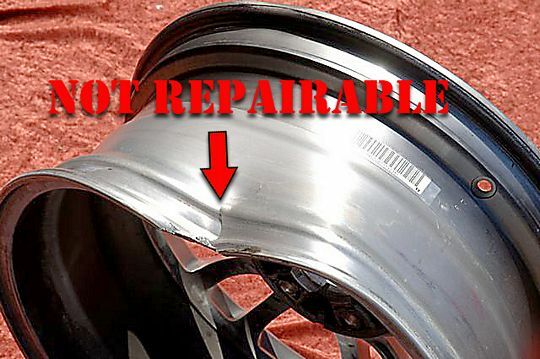 Repair costs generally follow these guidelines: $85 minor wheel repair; $95 standard wheel repair (most out-of-round wheels); $115 flat spot /warped wheel repair; $145 major wheel repair (deep curb rash, etc.). 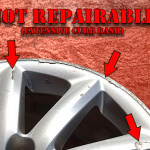 If the wheel is not repairable, you will be assessed the cost of a replacement wheel calculated as a pro-rated (per wheel) portion of the security deposit. In any event, you will never be liable for any amount exceeding the total amount of your security deposit. 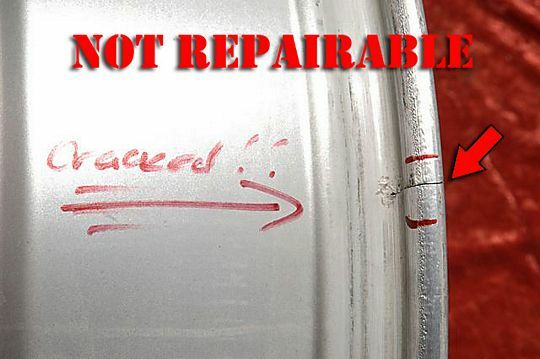 L.A. Wheel and Tire does not accept core returns that are not original factory wheels (such as replica/reproduction wheels) and/or wheels that have been previously chrome plated, powder coated, or which have any other non-factory finish. 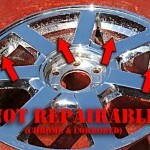 We do not accept previously repaired wheels, or wheels that have been welded or modified in any way. Returning core wheels that are not acceptable under the preceding two sentences, will result in a 100% deduction from the amount of your deposit that can be refunded. 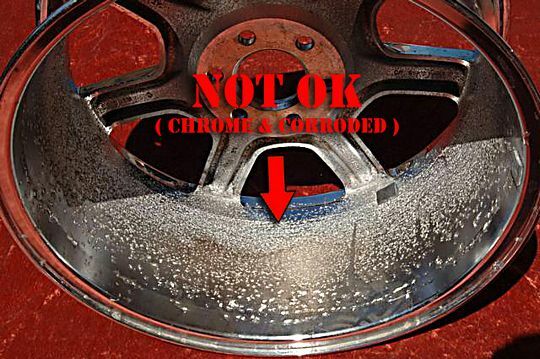 Any wheel which we find to be non-repairable (including, but not limited to, wheels that are cracked, welded, corroded, reconditioned or chrome plated or repaired) is considered scrap, and a pro rata portion will be deducted from your security deposit. 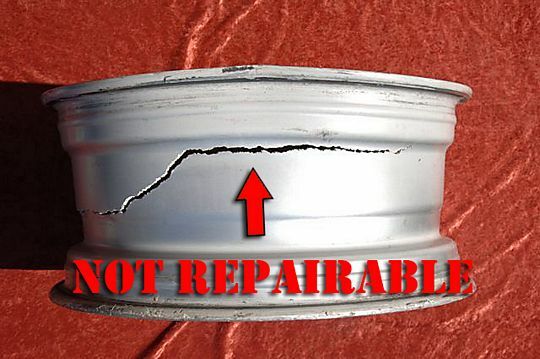 In the event of any dispute with you about the condition of your exchange wheel, your sole remedy will be to have the wheel returned to you at your shipping cost, and we shall be entitled to deduct a pro rata portion of your deposit (plus any shipping cost) to compensate therefore. 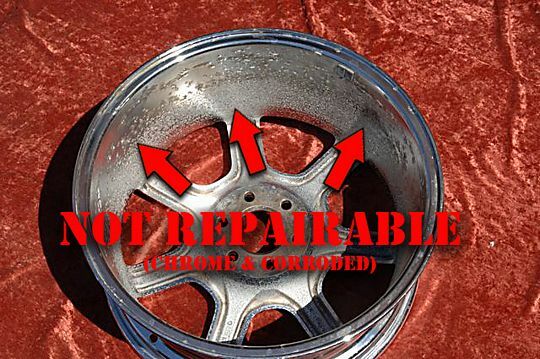 Remember: we may have other options for you, or you can purchase the wheels outright following our outright pricing (which applies if you are not sending us wheels that we can then refinish and sell to other customers). 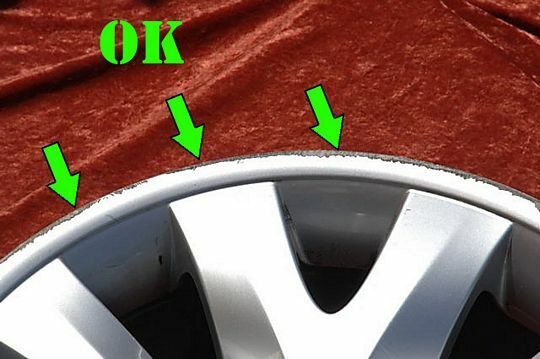 Below are some photos of wheels with various stages and types of damage; this is a guide only, and you should always contact us and send pictures if possible. 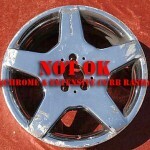 Can I exchange my chromed or powder coated wheels for your set? 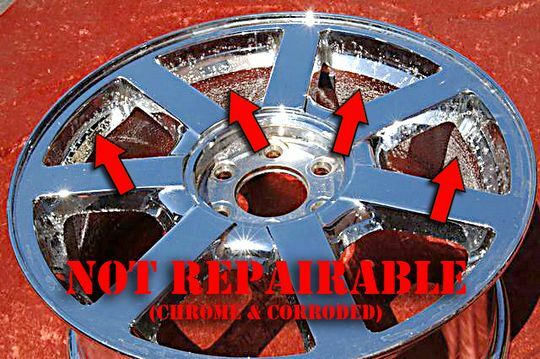 We do not offer this type of exchange, but we can usually remove the finish from your wheels and have them refinished or powder coated in the color of your choice IF they are not corroded and do not have irreparable damage. We may have other options for you, or you can purchase a set of silver or finished wheels outright, subject to availability. 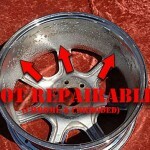 Please contact us at info@lawheel.com or (818) 626-8867 or toll free at (800) 584-2832. 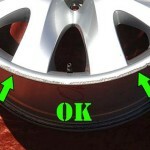 Are TPMS (tire pressure monitoring system) sensors included with the wheels? TPMS sensors are not included. You can reuse your existing sensors. If your car came equipped with tire pressure sensors and you use our Exchange Program, your installer will simply remove and reinstall them on your new wheels. 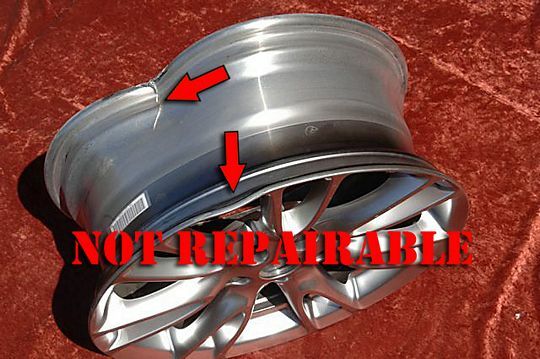 If you need to purchase a replacement set, please contact us at info@lawheel.com or (818) 626-8867 or toll free at (800) 584-2832. We stock most sensors at a significant savings over the dealer price.